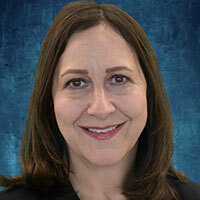 Margaret Pearle, M.D., Ph.D., is a Professor with joint appointments in UT Southwestern Medical Center's Department of Urology and the Mineral Metabolism Center, and is holder of the Ralph C. Smith Distinguished Chair in Urologic Education. She sees patients who need medical or surgical treatment for kidney stones. Dr. Pearle received her medical degree from the University of Chicago and completed her residency at Northwestern University Medical Center. She attended Washington University School of Medicine for her fellowship. Her research interests include evaluation of dietary and medical therapies for kidney stone prevention, assessment of outcomes for minimally invasive surgical treatments, and development and assessment of resident teaching tools. She has published and spoken extensively on these topics. She is a Fellow of the American College of Surgeons, a Trustee of the American Board of Urology, a member of the American Association of Genitourinary Surgeons and the American Urological Association, and a member of the Board of Directors of the Endourological Society. 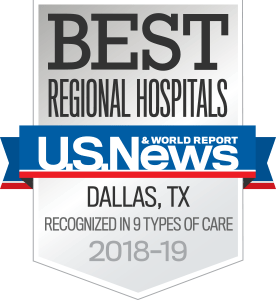 Texas Monthly has named Dr. Pearle a Super Doctor multiple times, including in 2018. When kidney stones stump other physicians, those doctors depend on the expertise of Margaret Pearle, M.D., Ph.D., a urologist at UT Southwestern Medical Center who specializes in kidney stone treatment. She has the skill to handle the most complicated stone cases. While Dr. Pearle says she likes the surgical challenges those difficult cases present, she also enjoys working with patients to manage kidney stones and developing preventive programs for those troubled with recurring stones. "I'm able to help prevent patients from making stones, or at least reduce the rate at which they are making stones," she says. “I can bring relief to patients with stones." Dr. Pearle has a joint appointment in Urology and the UT Southwestern Mineral Metabolism Center, which helps her create overall management strategies for her patients. A management plan for kidney stones includes analyzing blood and urine specimens to measure for substances that positively or negatively affect stone formation, and recommending diet changes and medication, if needed. A Texas Monthly Super Doctor, Dr. Pearle is one of the relatively few physicians in the area who offers percutaneous stone removal for complex cases that involve a large volume of stones. In that process, she passes a telescope through a small incision in the back directly into the kidney to fragment and remove stones. In addition to her work with patients, Dr. Pearle chairs a guidelines panel of stone experts that recommends to practicing physicians preventive strategies for managing stones. She's also involved in clinical trials that compare different treatments for stones and that evaluate outcomes for surgical management of stones. First Place, Samuel Ambrose Socioeconomic Essay Contest at the American Urological Association Annual Meeting in Orlando, Florida 2002, Cost effective treatment of ureteropelvic junction obstruction: A decision tree analysis"
Prospective, randomized trial comparing shock wave lithotripsy and ureteroscopy for lower pole calyceal calculi 1 cm or less in size. Effect of cranberry juice consumption on urinary stone risk factors. A randomized, controlled, prospective study validating the acquisition of percutaneous renal collecting system access skills using a computer-based hybrid virtual reality surgical simulator ? phase I.
Q&A by Peggy Pearle, M.D., Ph.D.